It is no secret that a public spending crunch is on the way. And it seems one target for cuts has already been identified: asylum-seekers' benefits. As we report today, the UK Border Agency proposes to reduce the weekly subsistence payments to those waiting for a verdict on their asylum application from £42.16 to £35.13. That asylum-seekers would be the first to suffer as a result of spending cuts was depressingly predictable. Refugees cannot vote and are widely resented. They represent just about the softest target around. Hitting asylum-seekers might be politically convenient, but it is certainly not morally right. The subsistence payments asylum-seekers receive are already meagre; around 30 per cent lower than jobseekers' allowance. Cutting them threatens to push asylum-seekers – many of whom are already on the threshold of destitution – further into poverty. Though the number of new asylum claims has come down in recent years, the size of the backlog is growing. So asylum-seekers are faced with the prospect of waiting longer for a decision on their case with less financial support. The widespread idea that our system is a "soft touch" has never looked more misplaced. These cuts will also compound the cruelty of a system which prevents asylum-seekers from working while their claims are being processed. Many have impressive professional skills. Among their ranks are thousands of qualified doctors, teachers, scientists and engineers. This should be no surprise. It is often the well-educated who become targets for persecution in repressive or chaotic regimes. The loss for these countries ought to be Britain's gain. The vast majority of refugees are eager to work and play a useful role in our society with their labour. Instead, our Government forces them to survive on taxpayer-funded benefits. Some ugly social forces have been resurgent since this recession began. There have been protests by oil refinery workers who complain of being undercut by cheaper foreign labour. No evidence has been produced to back this claim up, but that has not dampened the ire of the protesters. Political extremism has enjoyed a boost too. The British National Party, which has long demonised asylum-seekers, won enough votes in last month's European elections to send representatives, for the first time, to Brussels. This rising hostility to foreigners provides an unpromising context for reform of the asylum system. After their failure to enact humane change in the boom years, it is hard to see ministers cutting asylum-seekers a break in today's volatile climate. Yet the Government should be braver and more imaginative. Ministers ought to challenge the myth that foreigners are doing native Britons out of jobs. And they should recognise that allowing asylum-seekers to work can drain some of the public resentment towards them. What better antidote to the popular misconception that refugees are "spongers" than to show that they are working, paying taxes and contributing to the common good? This reform would also make financial sense from the Government's perspective. The increase in taxation this reform would generate – even at a time of rising joblessness and recession – would surely dwarf any meagre savings to be made from reducing the asylum benefits budget. The Government rightly argues that we need to grow – not cut – our way out of recession. Let it live up to this conviction by releasing the full potential of asylum-seekers. Last night I received an email "poem" from a friend, that had been forwarded many times. I read through it with growing dismay. It is written in a sort of broken English and holds a contemptuous tone throughout. I cross ocean, poor and broke. Welfare cheques - they make you wealthy! NHS - it keep you healthy! By and by, I get plenty money. Thanks to you, you British dummy! And buy big house with welfare bucks! Finally, British guy moves away. and soon we own the neighbourhood. We have hobby, it's called breeding. Kids need dentist? Wives need pills? to keep the welfare running here. Too darn good for British race! Got lots of room in Afghanistan! Ha ha very funny, just like British expats travelling the world to get better pay/standard of life/avoid taxes/make pensions go further/extend careers/better prospects/lazier life with home help/ or whatever. I don't like this unkind 'poem'. Britain has many hard working legal immigrants who make our country all the better for their presence. Illegal immigrants in UK do not get 'welfare cheques' whatever they are (that's US terminology isn't it?). They often live in truly squalid conditions, and then get deported. Sorry, I don't think this poem is 'brilliant' at all. It's a nasty, sneering piece of work, and totally unworthy of you. This morning after some research I discovered this nasty piece of work has some form. A few minutes googling uncovered many titles and many incarnations. It is known variously as the Illegal, Welfare or Immigrant's Ode or Poem, and it is a favourite on far right websites, like Stormfront in the UK. According to this site specialising in disputing urban myths, this poem seems to have originated in Canada, and since it began circulating it has been adapted for American, Australian and British use, whilst the sneering tone of broken English and opportunism remains intact. Behind it lies a story of how urban myths develop - that immigrants, refugees, asylum seekers or illegal immigrants are somehow 'better off' or receive more 'welfare cheques' than the citizens. The circulation of this nasty verse has caused the resignations or sacking of at least three people; W.R. "Bud" Harper, Arkansas' top emergency official in 2003; Mark Newton, university security guard who worked at Manchester Metropolitan University; and in 2006, according to political correspondent Ben Russell of the Independent, Cameron was embarrassed and forced to suspend a former Conservative parliamentary candidate from the party bcause of this "racist email". Edward Davey, the Liberal Democrat campaigns chief, said: "It is totally unacceptable for elected representatives to be distributing this kind of material. Racism has absolutely no place in British politics". Please note that the verse does not represent my own views; it is a study into how such items spread and are recycled and the social comments to be found in them. "Illegal" or "Immigrant's Ode" is, on the face of it, a nasty racist poem which has been in circulation for at least a decade. The first version I saw was Xerox-lore i.e. photocopied and passed on. I can't recall the date, but it was many years ago and targeted Asian immigrants(Indian, Pakistani and Bangladeshi nationals) entering Britain. The 1980s were full of anti-Asian "jokes" and Xerox-lore such as this spread quickly. . According to older friends, its pedigree history goes back even further, with a version aimed at West Indian immigrants into Britain and possibly sung to the "Banana Boat Song". The most common version on the Internet these days, seems to be the American version dated 1993. This is probably because the USA dominates the Internet and because the poem landed an aide of Colorado governor Bill Owens in a lot of trouble when he circulated it as a "joke". Owens was not the only one either; WR "Bud" Harper resigned from his post as the state's top emergency official after forwarding the verse by email. It was reproduced in part or in full in a number of reports - thus ensuring it spread even further. The target in the American case was Mexico, reflecting the problem of illegal immigrants crossing the border in the USA. The verse is written in a stereotyped pidgin English style. According to some American friends, it is far from accurate since America lacks a welfare state akin to that in Britain. Even more tragically, railroad cars containing dead stowaways have been found in the USA - some having been parked up and left unopened for weeks or months. Far from being a land of ease, the USA proves to be a tough place - immigrants (legal and illegal) may find themselves exploited as manual labourers. Those present illegally can find themselves abused, but may be afraid to (or unable) to seek help. There are many ways the poem could have moved from Britain to America: in a magazine, as a photocopy, on usenet (which has existed in some form or another for over a decade) or in an email. According to a contributor to the Stormfront White Nationalist Community, he edited the verse into an American form and sent it through cyberspace for the enjoyment of other white supremacists. Some versions have the term "white race" changed to "American race" since America is already a multi-ethnic society (British race in this version). The pervasiveness of computer technology means this claim, though plausible, cannot be substantiated. It could have been edited and disseminated by almost anyone on either side of the Atlantic. More recently a version has cropped up in the USA referring to Pakistan . . and the same version also appears with Canada being the country receiving the immigrants. This has closer ties to the versions that have long circulated in Britain where there are large, and extremely hard-working, Asian communities in major cities. An American reader might imagine references to Asian or traditionally Muslim countries to be linked to the "War on Terror" raging in the Middle East during 2003/4. In fact those references hark back to the British roots of this racist and odious ode. The verse also reflects how immigrant families often retained their traditional "extended family" where several generations, or two or more inter-related families, lived under one roof. Extended families had long since become unusual in white British culture. . The extended family and the need to settle among people with similar cultural values also became targets in all versions of this verse. Though there are "economic migrants" looking for a welfare state to support them, many immigrants (many with excellent qualifications) take on jobs that a country's residents sneer at - jobs involving menial tasks or jobs which are simply low paid. In particular, these have included jobs which involve serving others in some capacity e.g. as domestic staff. Discrimination and prejudice closed other avenues of work. The willingness of many immigrants to work hard is not depicted as being due to pride and a strong work ethic, it was used to reinforce an image of worthlessness. Many supported no only themselves, but also sent money home to relatives. It is not surprising that they would want their relatives to join them and enjoy a better standard of living, not through scrounging (as the verse suggests) but through joining the family business. In Britain, the open-all-hours convenience store is an essential part of many communities and such stores are generally run by extremely hard-working Asian families. As well as having racist overtones, the Immigration poem also pokes fun at the British welfare state which was perceived as handing out money willy-nilly. These immigrants were legal, hence the poem's title is "Immigrant's tale" or similar. Even today, many people feel that the British welfare state bends over backwards to help those new to the country, while failing "indigenous" people. This is what keeps the poem alive and in circulation as it is updated and revised to depict each new ethnic group entering the country. This "poem" needs to be challenged every time it rears its ugly head in new versions. It spreads racist untruths about immigrants, and its jaunty style conceals hatred and contempt. There is no gentle way to deal with viral email. Catch it, bin it, kill it, and tell the sender why. The financial accounts of 11 UK political parties with gross income or total expenditure of £250,000 or over for the year ending 31 December 2008 have been published today by the Electoral Commission, the independent regulator of political finance. The full statements of account are available here. The British National Party and the party’s Regional Accounting Unit were both granted an extension to the deadline for submitting their statements of accounts. Both have failed to deliver their accounts within the extended deadline so the party will be fined a minimum of £500 and the accounting unit will be fined a minimum £100, this figure will increase if the accounts are more than three months late. Peter Wardle Chief Executive of the Electoral Commission said: “Political parties play a crucial part in our democracy. But, now more than ever, voters need to be confident that party funding is transparent and that parties will comply with the law. In May, the Commission published the financial accounts of 281 political parties and 483 accounting units whose gross income and total expenditure were each £250,000 or less. Accounting units with income and expenditure that are both £25,000 or under are not required to submit their accounts. The Commission has published a comparison of the parties’ gross annual income and total expenditure from 2003 to 2008. This is available on our website. The Commission is currently reviewing all the accounts submitted. Where this review suggests that there may have been any breaches of the law we will raise this with the parties and where necessary use our regulatory powers. If Britain were a village of 100 people, and its land mass were scaled down by the same proportion as its population, the village would cover an area the size of 99 football pitches. Fifty-three of these football pitches would be English, 32 Scottish, nine Welsh and five Northern Irish. Of the 42 households in the village, 32 would have satellite, digital or cable television. Twenty-seven households would have access to the internet (24 of those would have a broadband connection). Thirty people would have a Facebook account. Sixteen of the villagers would be at school – of whom one would be in private education. One of the 16 pupils would leave school this year. Twelve of them would, when the time comes, go into higher education. Nine of them would achieve five or more GCSE or equivalent passes at grades A*-C.
Britain is, in fact, far from overcrowded. If Britain were a village of 100 people, and its land mass were scaled down by the same proportion as its population, the village would cover an area the size of 99 football pitches. Agricultural land would occupy 20 football pitches (run by a single farmer), while London would cover just over half a football pitch. All built-up areas and gardens would occupy the equivalent of six football pitches. This occupied land rounds out at just 26 football pitches, leaving a phenomenal 73 going spare - presumably as woodland, moorland and land in private ownership (by people like Nick Griffin). If Britain were a village of 100 people, there would be 74 voters but only 26 of those voters would have gone to the polls at this year's European elections. Far from the mandate from the British public that Griffin would like us to believe he got. Not so. Ninety-two of our villagers would be white. Two would be black, two Indian, one Pakistani, one of mixed race and two would be of other races (which presumably could be pretty much any colour from a well-tanned Robert Kilroy-Silk to a pale Lenny Henry). Again, untrue. Seventy-two people would identify themselves as Christian (although only 10 people in the village would go to church regularly). Fifteen people would say that they were not religious, while there would be two Muslims, one Hindu and 10 people who practised other religions (including the BNP's favourite lunacy Odinism, and paganism). Whatever bizarre cult the BNP's fake vicar Robert West belongs to, wouldn't even get a look in. Not according to Tina Wingfield, the BNP's membership secretary, who claimed back in June that the party had achieved 10,000 members, a drop from the 12,724 that appeared on the released membership list. If my maths are correct (and they're probably not) that should see the BNP membership of our village standing at about a six-hundredth of a normal person, which sounds about right. While these figures are outrageously simplified, they do help to put the BNP's droning about the state of the nation into perspective. A mother-of-three who has previously claimed to be a member of the British National Party (BNP) has pleaded guilty to common assault and perverting the course of justice. Helen Forster (see here and here for more info), of Park Place, Gravesend, admitted the charges at Maidstone Crown Court on July 27. The 32-year-old, who has previously stated she has produced leaflets for the party, has been remanded in custody and will be sentenced on September 7. The two charges relate to an incident in Fort Gardens, Gravesend, on May 23. In May, Forster was given a 10-month suspended sentence at Maidstone Crown Court after being convicted of intimidation. In this case, the court had heard she had encouraged a group of children to throw eggs and fire an airgun at the home of her neighbour Meherjan Miah, who lives there with her young children. The vast majority of CWO members have been out canvassing, delivering leaflets, telling and knocking-up for the past weeks and months. Certainly in the County Council elections it was all worth the sore feet, slammed doors in faces, close escapes from dogs and scraped knuckles from unfriendly letterboxes. Taking Devon and Somerset from the Lib Dems and the outstanding results in the North showed how successful Conservatives are at local level and just how much the population wants a change in Government. It was all going so well - until Sunday evening - when the results came in from the North West and Yorkshire. I don't know anybody in this country who wouldn't have had a lump in their throat watching the wonderful WWII veterans tell their stories at the D-Day celebrations. I just wish the elections had happened the day after the 65th anniversary - it might have stopped people believing that voting for the odious BNP was in some way a protest vote. For Griffin to even align himself with Churchill and the heroes of the two world wars is sickening. In some twisted re-writing of history, the BNP believe that these same veterans fought to protect Britain for the British. Every man and woman who defended Britain - be it on the front, working in factories, digging in the fields, or keeping the home fires burning - were all heroes and they worked, fought and died to defend our freedom from Fascism - from people like Nick Griffin. If there was ever a reason for the electorate to participate in democracy - that most precious commodity saved by those heroes - then the shame of having two BNP MEPs is that reason. For the 26 million of you who did not vote in the European elections because of political mistrust, boredom, couldn't be bothered or because parliament is going through much-needed reform, then you only have yourself to blame when you wake up this morning and are disgusted by the news. Remember that feeling at the next election and go and vote. You might not like mainstream politicians at the moment but giving the BNP a foothold in British politics would be a far worse disaster than the times we are living through now. Members of the Nazi BNP and its supporters have been drawing a lot of attention to themselves in recent weeks. On 11 July, a man threw a pint over BNP leader Nick Griffin in a pub in Gloustershire. Labour MP David Drew said the man was then given “one hell of a hiding”. Griffin has made a formal complaint to police, claiming that the man who confronted him “needs to learn to keep his ideas to within the law”. Griffin was found guilty of distributing material likely to incite racial hatred in 1998. Meanwhile, BNP London Assembly member and Barking & Dagenham councillor Richard Barnbrook is under investigation to see if he has brought his office into disrepute. Barnbrook claimed last year that there had been three murders in three weeks in Barking, knowing the claims to be false. But the hearing for the investigation was suspended on 21 July when Barnbrook called in sick. He had also failed to submit any written evidence. The complaint was first lodged in September. Valerie Rush, a Labour cabinet member at the local council, said Barnbrook was “openly and outrageously lying to whip up fears in the London community”. The Metropolitan Police confirmed that there had been no such incidents in the area during that time period. The meeting will be reconvened on either 12 August or 4 September – unless the stress is still too much for Barnbrook and he calls in sick again. It has also emerged that Britain’s two Nazi MEPs – Griffin and Andrew Brons, the former chairman of the National Front – intend to put some of their expenses and salary into bank accounts controlled by BNP members in their constituencies. According to Brons this money will be spent on “what we consider worthwhile projects”. But what people like Brons deem worthwhile will be abhorrent to most people in Britain. It is also against European parliamentary rules. A strategy often used by the neo-fascist British National Party is to eulogise Britain’s wartime past as a means to garner more support. This propaganda tactic aims to legitimize their party in the face of accusations that they admire the Nazis (i.e. not patriotic). A recent example was the BNP’s “tribute” to Harry Patch, the Last Tommy who died over the weekend. After giving a history lesson on the First World War the author, going by the pseudonym “Titvs Advxas”, lightly touches on Harry Patch’s life and then says, “The British National Party, it seemed to me, was the only political party who remembered Henry Allingham in the previous week, at meetings and in their own press. This weekend, the shame from the other parties from their own neglect, has forced them to remember Private Henry John Patch”. The BNP are perfectly entitled to remember Britain’s sacrifice, but to wrongly imply (see Gordon Brown here and David Cameron here) that they are the only party that cares for veterans and the war dead is politically arrogant and immoral. The legacy of our veterans should be left out of politics. Having read Harry Patch’s obituaries (see here and here), it is obvious he was an honest and caring man. He had the gentle and very British qualities of tolerance and sympathy towards other peoples suffering. These aspects of his character are the very antithesis of the BNP who have sought to claim him, and Henry Allingham, as one of their own (notice how they wouldn’t have dared done this while they were alive. The dead can’t bring about legal proceedings). - Mark Collett – former head of the BNP Youth and now head of the BNP’s publicity unit said “Hitler will live forever; maybe I will”. Could their obsessive use of Britain’s former military glories during the World Wars be a compensation for their fascination with Nazism? Some might say that they are using British military sacrifice as a physiological defence mechanism. David Cameron’s and Gordon Brown’s tributes show that it is possible to respect veterans in a non-political way. However, the amoral and emotionally insecure BNP’s idea of remembrance is to use our inherited freedoms, left to us by our hard fighting ancestors, as neo-fascist propaganda. Recently, the Centre for Social Cohesion, a non-partisan independent think-tank, published a report which I authored, entitled 'The BNP and the Online Fascist Network'. The purpose of that report was simple. The British National Party, under Nick Griffin, has worked very hard to create a wholly false image of itself as a mainstream, 'patriotic' nationalist party, that has left behind its links with neo-Nazism. That deception has met with considerable success. The truth is very different. In the report, I demonstrated, through looking at BNP supporting blogs, forums, and YouTube accounts, as well as official party literature and material sold via its website, that the BNP has not changed in substance at all. Rather, it is a racist party, founded by neo-Nazis, with a racial ideology that continues to share much in common with neo-Nazism. However, it is also a party that now has a number of elected councillors and two MEPs. A few years ago, no-one would have thought it possible that the BNP could ever enter the political mainstream. In this article I shall discuss how and why this has happened, and what needs to be done to combat it. In 2000, BNP leader (and now MEP) Nick Griffin stood before an audience of American 'white nationalists' and proposed that while he had no intention of 'selling out' the BNP's principles, he now wanted to 'sell' the party. So, he stated, the BNP would now use 'salable' words such as 'freedom' and 'democracy', and replace discourse about 'racial purity' with talk of 'identity'. In recent years, particularly following the 7/7 terrorist atrocities, the BNP has sought to align itself with what is loosely termed the 'anti-jihad movement' and to shift its focus from attacking Jews and black people to opposing 'Islamification'. This focus on Islam has been combined with an even more intense campaign against asylum seekers and the encouragement of white self-pity. Then, of course, there is the very real problem that many voters, especially from old Labour heartlands, are feeling increasingly alienated from the political process, which is seen to be the domain of an arrogant and self-serving liberal intelligensia wholly disconnected from the concerns of ordinary working people. So, for its European election campaign this year, a key BNP slogan was 'Punish the Pigs', with the party presenting itself as a bulwark against the arrogant and greedy politicians of the mainstream parties. Griffin is a man who has rightly been described as a 'political chameleon' and under his guiding hand, the BNP has been developing in a similar manner. Looking at the kind of statements it gives to the media and its huge shift away from neo-Nazi racial discourse and towards nationalist populism and a 'little Englander' approach, the BNP appears, superficially, to have changed dramatically. Elsewhere, I have argued that this is entirely to be expected and that it actually illustrates something very positive about modern Britain: the BNP has had to change its rhetoric because the majority of white Britons are not racists and would be instantly turned off by a party attempting to 'sell' ideological racism and a policy of mass repatriation of all non-white citizens. There are a number of factors involved in the rise of the BNP as an electoral force, and I do not think that a sudden conversion of large numbers of white Britons to hardline racist sentiment is one of them. The question of Islam is one factor. Recently, I have been accused by the usual suspects of not bothering to properly examine the BNP's anti-Islamic rhetoric because I don't take anti-Muslim bigotry seriously enough or don't really care about it. At worst, it has been implied that I am an anti-Muslim bigot myself or, to use the catchphrase, an 'Islamophobe'. This approach indicates a complete failure in understanding of the true nature of the BNP's anti-Islam campaign, and the fact that writers who are supposedly anti-fascist should choose to attack a report aimed at exposing racism is disappointing to say the least. The reality is that Griffin and co don't really care about Islam. Griffin may be an odious figure, but he's not a complete idiot, and he knows very well that Britain is not on the verge of turning into an Islamic State. Following his strategy for making the BNP electable, Griffin has tried to steer the party towards populist issues, picking up on fears and resentment among the electorate in an attempt to use such issues as a Trojan horse for his underlying racist agenda. The truth is that the BNP hates Muslims because they are predominantly brown skinned. In 'white nationalist' ideology, everything ultimately boils down to an obsession with race. When it comes to Islam, the BNP hasn't exactly had to work hard to whip up anti-Muslim bigotry and paranoia about 'Islamification'. Looking at the scare stories on its website's news section, a large number of them are drawn straight from mainstream media sources, and the party is being greatly assisted by the grossly disproportionate coverage given in newspapers to the outrageous statements and provocations of Anjem Choudary and his motley crew of social misfits who go under a variety of names but are essentially Al-Muhajiroun. In hysterical report after report (some of which I have documented here and here), a tiny minority of bin Ladenist fanatics and fantasists have been presented as a serious threat to our society. The fact is, of course, that while Al-Muhajiroun is a dangerous group with many links to terrorism, it represents only the tiniest handful of Muslims in Britain, not that you would know that given the amount of time Choudary gets in the media. So, when the BNP claimed in its European election material that it would 'ensure that British troops are not abused on the streets of our cities by Muslims', it was in particular cynically appealing to the concerns of those who get the majority of their understanding of the world from reading simplistic and hyped up tabloid stories. Likewise, when the British media regularly feature quotes from Choudary saying the 'Islamic flag' is going to fly above 10 Downing Street, the BNP's response that 'we aren’t prepared to stand back and watch as Britain drifts into being an Islamic republic' sounds perfectly reasonable. It's not just a case of media scare stories, however. Another important factor that is undoubtedly greatly assisting the BNP in its promotion of anti-Muslim sentiment is the problem of largely self-appointed Muslim 'community leaders' and organisations and their very vocal and, to the majority of Britons, unreasonable lists of demands of how British society should change to accommodate what is presented as Islam and the 'rights' of Muslims. In the final part of this two part series, Edmund explores how best the political establishment and society should combat BNP and show them up for exactly the racist, bigoted party it is. HOPE not hate - which way forward? The recent outstanding success of Hope not hate (Hnh) in the Euro elections shows that there is wide spread support for an anti-racist organisation in the UK. Indeed, I believe that it could become the organisation that many people hoped for when the original Anti Nazi League was formed in 1977. This potential will cause as many challenges for Hope not hate as it does present opportunities. I believe that for Hnh to become the mainstream anti racist organisation in the UK, Searchlight will have to give up control of Hnh and let it float off to have a separate identity and structure. If handled adroitly, Hnh could become the most significant anti-racist organisation in Britain and could attract significant funding and resources. It could counter racism in all aspects of British society and Hnh could become the principal reference organisation to counter racist organisations; organisations with some racist policies and racist individuals. It could sponsor research and work to establish positive stereotypes instead of having to be a primarily defensive and reactive organisation. There is also the potential for Hnh to establish international sections that can take the template of Hnh Britain and help to set up ant-racist organisations throughout the world. The new organisation would act as a central resource, research and advocacy unit leaving local groups to decide upon strategy and tactics. What is most appropriate in Norfolk is not what is most appropriate in Leeds. The only requirement for local groups is to sign up to the Hnh charter that sets out its golden principles with regards to its mission and also the way that Hnh would like groups to operate – for example to be non-violent. I know that this approach is highly contentious, but the greatest single achievement that Searchlight could bequeath Britain as a legacy would be to have created the largest, strongest and most effective anti racist organisation in British political history. To become this organisation, Hnh will have to establish itself within the main stream of British politics and adopt principles of strict non-violent and passive resistance to racist actions, as well as reconsidering the "no platform" principle. If Hnh has confidence in its message then perhaps it should be prepared to take on racists publicly to show that we are right and they are wrong? Pertinently, if UKIP continue to fight elections in the same racist way that they fought Norwich North, then Hnh needs to be prepared to say that UKIP’s policies are as racist as the BNP’s. In which instance, where is the logic to argue that we will not debate publicly with the BNP but we will do so with UKIP, even though their policies are almost identical in intent? OVERARCHING OBJECTIVES OF Hnh - to become the most effective and respected organisation in ant- racist activities in the UK. 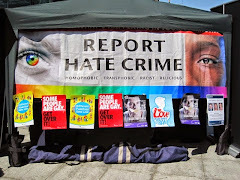 Hope not hate should aim to occupy the centre ground of British political & community action to counter racist policies and parties, leaving the extremes to either racist groups such as the BNP, or extreme left-wing groups who advocate violent solutions to tackling racists. To occupy this central position, Hnh will need to achieve widespread understanding that it is a non-party political organisation that is not "left-wing" or "communist", but that is supported by the overwhelming majority of the community. Hope not hate needs to create a new perception that you do not have to be left-wing to oppose racism and racist actions and policies. At the moment in Britain, the principal problem for anti-racists is that they are often perceived as the reflection of racist groups. CHARTER & GOLDEN PRINCIPLES - It is suggested that Hnh devises a series of principles (say approximately 10) that are the fundamental purpose of Hnh and that form its central policy. These become the "golden principles" of the organisation and are a statement of what Hnh believes in – opposition to racist parties and policies; advocating positive messages about the benefits of immigration; a commitment to non-violent protest; passive resistance to far right demonstrations, and a recognition that where possible HnH will work with the Police to tackle racial violence and to overcome the violence of racists and other far rightists. STRUCTURE – Hnh should stand alone from Searchlight as an independent, voluntary organisation with its own management committee; staffing and resources. In its initial period, it could still be housed by Searchlight, but its intention should be to be a stand alone organisation as soon as resources permit. Hnh’s appeal to the community should be as a diverse membership organisation dedicated to countering racism, negative campaigning on immigration and countering the myths that immigration causes. MEMBERSHIP - Hnh should have classes of membership – from individuals, trade unions, community groups, as well as companies and other organisations such as racial equality councils etc. Membership fees should be low enough to encourage membership (less than £10 per year), and membership should entitle you to receive a newsletter and full voting rights on all matters of policy. RESOURCES – Hnh should be able to attract significant additional resources as well as membership fees and research income. Donations from other charities and trade unions should be a substantial part of annual income, and if the organisation develops an international profile, funding from the UN and other agencies becomes possible. FINANCIAL PLANNING – it is important that Hnh has a long-term viable future and the management committee should aim for it to be self-sustaining from sales of products and membership income and donations. Hnh needs to become a permanent organisation with a realistic budget and work programme. MEMBERSHIP EXCLUSION - HnH should be explicit in its charter and objectives regarding the problems that factionalism has caused the anti racist movement in the past, especially those caused by Trotskyite groups. It would be fair to make membership of some organisations incompatible with membership of HnH. It is also arguable that HnH could preclude membership of HnH to SWP members because they do not subscribe to the ideas and methodology of HnH. – to tackle all racist organisations and individuals, whether racism is via religion, ethnic background or sexual orientation. - to become the leading resource with regards to statistics and information to be able to expose the lies and deceit of those organisations that use race to pursue political or social objectives. - to enable local community groups to campaign against racist organisations and individuals by providing training and advice. - to commission research to counter the myths of "Migration Watch" et al. HnH should never become affiliated to any political party or perspective, but it could campaign independently for a series of positive policies that could be adopted by the Government and hopefully gain cross party support. It could act as a monitor of Government policies and campaign to overcome those that are either racist or likely to cause an increase in racist sentiment. Norwich Pride organisers were delighted last night after the success of the city's first ever LGBT Pride parade. Dancers, drummers and thousands of supporters came together to turn Norwich into a rainbow for Saturday's event, which saw between 2,000 and 3,000 people march from Chapelfield Gardens down Theatre Street and around the market to finish on Millennium Plain. Lord Mayor of Norwich Evelyn Collishaw kicked off the rally and Norwich Samba band led the march with rhythmic drumming and dancing. Organiser Michelle Savage said the event had surpassed all expectations, with gay, lesbian, bisexual and trans people turning out along with supporters, friends, and families. Norwich Pride was organised by 13 volunteers to raise visibility and awareness. Organisers are already planning next year's event - and the last weekend in July looks set to become the regular date for Norwich Pride. The BNP’s success in European elections will be disastrous for disabled people, activists have warned. BNP leader Nick Griffin was elected to represent the North West region while Andrew Brons won the seat for Yorkshire and Humber in the June 4 elections to the European Parliament. Activist and campaigner Richard Rieser branded the BNP a fascist party and said that its electoral success was a result of large numbers of disillusioned Labour supporters failing to vote. He said that disabled people in areas represented by the BNP would be afraid because fascists wanted to kill disabled people. Julie Newman, Acting Chair of the UK’s Disabled People’s Council, said she could only think that a party denying the Holocaust would deny disabled people the right to exist too. Alice Maynard, Chair of disability charity Scope, said that black and ethnic-minority disabled people already endured considerable discrimination which she doubted would improve with the election of BNP politicians. All three campaigners said that they hoped the success of the BNP would serve as a rallying call to disabled people to ally with anti-fascist and anti-racist organisations. In May, the Observer newspaper reported that Jeffrey Marshall, senior organiser for the BNP’s London European election campaign, had posted a message on an internet forum in which he commented on the death of David Cameron’s disabled son Ivan. The Observer added that Mr Marshall said the comments were private and some had been paraphrased and taken out of context. The paper said that he had admitted making the former comment but said he could not recall making the latter one. One should not over-elaborate the analysis of elections. The central question is always the same. Who won? This is certainly true of the Norwich North by-election, where Chloe Smith turned Dr Ian Gibson's Labour majority of 5,459 in 2005's General Election into a Conservative majority of 7,348. Allowing for all the special circumstances, that is probably a good enough result to produce a Conservative victory next year, both nationally and in Norwich North. That is what matters; it is natural for the Conservatives to be delighted with last Thursday's result as well as relieved. Miss Smith is more than entitled to enjoy her triumph. There are, however, some interesting undercurrents revealed in the Norwich North results. First, there is one piece of excellent news, which I had not totally expected. After its relatively successful result in the European Elections, the British National Party (BNP) thought it a good idea to put up a candidate in Norwich North. It was mistaken. The BNP was beaten into seventh place with just 941 votes. That does not mean the BNP may not become a future threat, but it does show it has limited appeal outside a few deprived areas. Seventh place in a by-election is a joke position for a group claiming to be a national party. The result put the Conservatives in first place, Labour second, the Liberal Democrats third, the United Kingdom Independence Party (UKIP) fourth and the Greens fifth. The result is disastrously bad for Labour. Undoubtedly, Labour voters resented the brutal dismissal of Dr Gibson, a popular and independent-minded local MP. The Labour vote fell by 70 per cent from 21,097 in 2005 to 6,243 in 2009. The opinion polls have been reporting that Labour support in the country has fallen from 36 per cent at the last General Election to a figure in the mid-20s now. Norwich has confirmed the opinion polls reflect reality. The Conservatives won the seat largely because Labour has become so unpopular. In 2005, the Tories came second in the Norwich seat with 15,638 votes; in last week's by-election they came comfortably first with 13,591. The Tories would have been able to win the seat simply by retaining the support of their past voters, though they did well to increase their share of the votes. The Lib Dems also had a lower vote in 2009 than they had had in 2005. At the by-election they came third, but they had only 4,803 votes to the 7,616 they had won in 2005. Although Labour did by far the worst, all three traditional parties won fewer votes than they had won at the last General Election. The three leading parties, taken together, saw their vote fall from 44,300 in 2005 to 26,700 in 2009. Resentment over parliamentary expenses may have partly caused the decline, but an analysis of the vote for the new parties suggests there is more to it than that. Two of the new parties came just below the three traditional parties in the ranking order. Both had performed reasonably well in the European Elections. UKIP increased its 2005 vote from 1,122 to 4,068 at the by-election. That put it in fourth place. Indeed, UKIP was fewer than 1,000 votes behind the Lib Dems. The Greens increased their General Election vote of 1,252 to 3,350. Both parties are perceived by the public as single-issue parties. Nevertheless, both were able to increase their votes at a by-election in which the three major parties were unable to do so. Labour's vote was catastrophically lower. Obviously, the European and Green issues are important to voters. Last week, Labour lost some 15,000 votes, votes that Dr Gibson had won in 2005. No doubt many of these voters simply abstained, but the two new parties gained 5,000 voters. If Britain had adopted electoral reform, which is the long-standing policy of the Lib Dems, these new parties, including the BNP, would have an opportunity to grow to the point at which they would become natural coalition partners. The parties that are the biggest threat to the established parties would also make the most attractive coalition parties. The Lib Dems would be attractive coalition partners for Labour, as they have been in Scotland; UKIP might be a potential coalition partner for the Tories, though that would be resisted. The Greens are a threat to the Lib Dems, but could also be their partners. As we do not have proportional representation, this change-your-partners dance will not take place - yet. Nevertheless, British politics will increasingly be influenced by the single-issue parties. It is no longer reasonable to think UKIP or the Greens are merely crankish parties, bound to fade away. The opinion polls suggest both are in the interesting situation of being single-issue parties whose issues have strong public appeal. Most voters are certainly more conscious of Green issues than they used to be a generation ago; most voters have also become increasingly critical of the European Union and the Lisbon Treaty. The Lib Dems in the House of Lords voted with the Government against the Lisbon referendum, which the country had been promised. Obviously, Eurosceptics will hesitate before they vote Lib Dem. Support for Green issues crosses the boundaries of other parties - the Tories can claim to have been a Green party for a long time in that they were always the countryside party. I would not particularly welcome coalitions of conflicting ideas - which electoral reform has created in Scotland - into Westminster. But I do welcome the mixture of ideas which is fermenting in our politics. The Norwich North result supports the forecast that Labour is on the way out and the Tories are on the way in. Yet it also supports the view that the politics of ideas, which we knew in the Forties, may be coming back. It was the ideas-based parties, UKIP and the Greens, which were the only ones to increase their votes in the Norwich North by-election. (Another) test in public opinion since the BNP gained an MEP in the North West ended in humiliation yesterday as the fascist party saw its vote slashed in half in the Reddish North by-election in Stockport. The BNP saw its 2008 vote of 402 in Reddish North slump to just 195 yesterday despite active campaigning by its North West region. In a ward won comfortably by Labour, with an increased share of the vote, BNP polled 7.9%, a drop of 6.6% on its 2008 result. Only a few days ago the party boasted on having 40 activists from around region out campaigning. "This was, in essence, a training day, for canvassers and logistics and although I and regional organiser Alistair Barbour were on hand to assist and offer advice, the whole operation was carried out by local activists,” said Clive Jefferson. Fortunately the people of Reddish North were not prepared to accept the BNP’s politics of hate. A hardhitting HOPE not hate leaflet was distributed by local activists across the ward and several people contacted us in a direct response. Well done to everyone who took part in the campaign. Now our attention turns to a by-election next week in neighbouring Tameside. This should be a slightly harder fight but with another localised leaflet produced we are expecting the BNP to be defeated again. local Lesbian, Gay, Bisexual, Trans and Queer Life. Everybody is welcome - our central events are free and inclusive. Our aim is to use music, debate, sport, history, arts and entertainment to raise awareness of LGBT issues and to get rid of the discrimination faced by LGBT people. Most of all, we want to ensure that Norwich is a city where everyone feels safe and proud to be themselves. 10.30am: Hilary Koe "Know Your Rights"
10.55am Richard Blake "Gay and Disabled: A Personal Story"
11.20am Luke Fitzgerald "The Gay Liberation Front: A Personal Perspective"
11.45am Pat Dungey "Lesbian London in the 20s and 30s"
12.10pm Justin Campaign "Gays in Football"
12.25pm Linda Bellos "40 years later"
12.50pm Pat Dungey "A lesbian life - a humourous review"
Lord Mayor of Norwich, Councillor Evelyn Collishaw will launch the Pride Parade from Chapelfield Gardens and the Norwich Samba Band will lead the walkers as they weave their way to the Forum where there will be speeches and entertainment on Millennium Plain. Speeches from Jeremy Hook, Adrian Ramsey, Linda Bellos, Daniel Danso; Comedy from Carrie-Ann Guthrie; Music from Sean Searphim, Adele Swallow, Gary Rolfe. Live acoustic and chilled music. Sean Seraphim is on at 6.30pm. Welcome to St John the Baptist, Timberhill. This ancient 13th century parish church provides the people of Norwich with a space in which everyone can pray, reflect or just shelter from the hustle and bustle of everyday life in the city centre. St John's is opened all day and everyday for you to use. 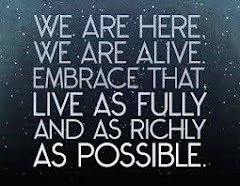 No matter who you are, whatever your background or belief - you are most Welcome in this House of Prayer. After the noise and fun of the Pride festivities, you are all invited to come as spend a few minutes of stillness and calm before the Pride celebrations continue throughout the evening and weekend. At 6pm, come and cool down, relax and reflect in a short 20 minute service of thanks giving for the diversity and richness of all humankind who live and work here in Norwich and East Anglia. Food available all weekend until 9pm. Dogs allowed. Party with a Circo Twist. Think Carnival, think twisted, think Circus sideshow fabulous, think James St. James (SuperFreak), think Art Glam with stylised influences from the 'Greatest Show on Earth' and tripped visuals by the Usual Rejects. Come along to The Castle for a great night out in a friendly and lively environment at the heart of Norwich's Gay Scene. Pub opens at 4.30pm, show starts 9.30pm. Burger van from 8pm. Food available till 6pm. Free film showing at 4.30pm "La Cage Aux Folles"
Director: Heather Tobin. Starring Hannah Hogan, Tracy Rae, Shaughnessy Redden. Canada 2008. 109 mins. 12.23pm: Apparently the parties are also finding it hard to assess the results because the bundles of votes aren't being stacked up in piles party by party in the way that they normally are at counts like this. 12.18pm: The Tories say that Norwich North is 162nd on the party's list of target seats. If the party were win here at the general election, David Cameron would be on course for a majority of around 100. The MP who is 161st on the Tory target list is Alistair Darling. 11.57am: We're expecting the result now between 12.15 and 12.30. 11.54am: The Lib Dems seem to accept that they are in third place. One source told me that their share of the vote as much the same as it was in 2005, 16%. But he was also telling me that the Tories were doing badly because they had got less than 40%. He thinks that they're up by about six points, ie to 39%. 11.48am: If that figure is true, and if the Tory vote really has just gone up marginally (say, to 36%, from 33% in 2005), then the Tories have taken the seat with a 14% swing. That would be respectable by any standards, even if the actual majority turns out to be relatively low. 11.45am: Labour has come second, on with 19.5% of the vote, according to the conversation I've just overheard. It was a Labour activist calling someone on his mobile. 10.24am: There's not much urgency here. The counters have stopped for a tea break! 10.19am: They've finished verifying the votes. We've just been told the precise turnout: 45.88%. The level of campaigning activity from a very small resource base has been very good. On the ground we had something like £12,000 to spend, compared to the £100,000 that the Tories have apparently spent. We are very pleased with the level of interest we've generated. We've picked up new members and new supporters. We think there's a chance that we will beat our best byelection performance [in terms of share of the vote] when we got 7.4% in Haltemprice and Howden [the David Davis byelection, in 2008]. 9.53am: Mike Smithson at PoliticalBetting reckons that a 45% turnout is good for the Tories. The general theory of low turnouts is that the campaigns which benefit most are those that are best organised. They're the ones to have been more likely to have got their vote out and the party with the best GOTV (Get Out The Vote) operation there yesterday was the Tory one. So as well as being a certain winner on my turnout below 61% bet I'm pretty confident that my "Tories on more than 41%" bet is going to be profitable too. 9.44am: The word is that we'll get the result nearer 11.30 than 1. Sky sources say Labour has conceded defeat in the Norwich North by-election, the first since the MPs' expenses scandal. A party insider said: "The Conservatives are trying to play down what is happening but I think the reality is that Labour is in a fight with the Lib Dems for second place. "The turnout has been poor in traditional Labour areas and I think the reality is that the Tories have taken the seat." Seems to be a lot of bloggers (including me) urgently quoting one another as the laid-back Norwich North counters enjoy their tea. As the nation's main dailies continue with useless London-centric speculation, even locally there is little hard news. Early figures indicate that turnout for the Norwich north by-election has hit a new low with just 45pc of people turning out to vote. The figure is a massive drop from 2005 when a by-election was last held and 61pc of people voted. The turnout figure was revealed as counting began at the Norwich-north by-election base at the Royal Norfolk Showground. This morning, amid a tense and excited atmosphere and with the world's media watching, the candidates received a brief from returning officer Colin Bland about what was going to happen over the next few hours. The morning started with a verification process, getting rid of all the unmarked or spoiled papers. All of the postal votes cast arrived late last night and had been checked and sorted into piles. The count of votes cast in polling stations around Norwich north has now begun. The votes will be sorted into the political parties and in bundles of 25 and then added to the postal votes cast before a final count begins. The result is expected around lunchtime. Low voter turnout and first reports of significant gains for smaller parties means the results of the Norwich North by election are not clear-cut. According to SKY news reports, the Norwich North returning officer estimates voter turnout was less than 45%. In some traditionally Labour-held areas, it was much lower, with only about ten voters casting their votes in an hour. This contrasts with traditionally Conservative areas of Norwich North where voting was reported at about sixty an hour. The results of the by-election are expected to be declared in about four hours, at noon today. After reading the previous article, you must wonder where would a 15 year-old boy learn such language and such attitudes? From a family where BNP views are tolerated and encouraged, of course, and from them back to the leadership of the BNP that 'gives permission' for such cruel bigotry against others. And where does the leadership of the BNP get the "authority" to hold such views? The constitution of Robert West’s Christian Council of Britain contains scandalous comparisons with the African slave trade. In Norwich North, where West is running for a seat, it now emerges that the BNP has apparently been lying about council housing, claiming that locals are losing out to African immigrants. These people have no place in Norwich, no place anywhere. Vote them out. People of Norwich North, keep the rotten racists out of our community - get out and vote. If enough of you vote for other parties, the BNP will lose their deposit, fair and square, and lose any claims to being 'mainstream'. A teenage BNP supporter who drove a classmate to the brink of suicide has been convicted of racial harassment in a landmark legal case. The youth, 15, subjected his female victim to months of racist abuse, on one occasion telling her: 'Go back to your own country, you don't belong here.' A court heard the 14-year-old girl - who had already moved schools once to avoid racist abuse - was also called 'wog, c**n, n****r, gorilla and golliwog' by her tormentor. He taunted her with chants of 'white, white, white is right, kick them out, fight, fight, fight' - taken from a film about football hooliganism. But the girl feared reporting the abuse would make him become violent and instead suffered in silence, the court was told. The victim, who has mixed white English and black African heritage, endured the abuse for four months before she attempted suicide in January this year. A source close to the case said the teenager, who, like his victim, cannot be named for legal reasons, was a BNP supporter who had actively tried to enlist other youths. Raymond Wildsmith, prosecuting, told Lincoln Youth Court the insults happened 'again and again and again' - anything up to four times a week. But the girl only revealed her torment after she tried to kill herself. She took a mixture of stress pills and painkillers in January before writing a note telling her family that she did not want a 'sad funeral'. Giving evidence by video link, the girl told a police officer the abuse made her 'want to die'. She added: 'I wanted to die because of everything that was happening at school. I thought, "Do I want to do this?" And then I thought, "Yes, I don't want to be here". The teenager was hospitalised and then sectioned in a psychiatric hospital for several weeks. She has been out of school virtually ever since but is due to start at a new school in a different part of the country in September. The mother reported the girl's ordeal to the school and police, but said she had a 'long hard fight to get justice for my daughter'. She added: 'When I first informed the school, they as good as called me a liar. I then had a long battle convincing the police to take this seriously. They were desperately slow and interviewed 25 people before they seemed to appreciate the seriousness of it.' The court was told that the girl had only been in the Lincoln area for a year before the abuse started. Her 15-year-old tormentor, who denied the charge, was convicted of racially aggravated harassment. He will be sentenced on August 13. A second 15-year-old was cleared of the same charge. The Crown Prosecution Service confirmed it was the first successful prosecution of a schoolchild for racial abuse in the UK. Polling stations are open and a few of the seventy-five thousand eligible voters in Norwich North have already cast their votes. This is the first Parliamentary by-election since the MP's expenses scandal, and, according to some reports, the country is agog to discover whether our local electorate is still seeking to punish the three main parties for their betrayals of public trust. Individual cases of the abuse of the expenses system were revealed day after day when the Daily Telegraph published the lists of expenses claimed by sitting members of Parliament. It became clear that, with a few honourable exceptions, MPs across the board and across party lines were treating their public offices as milch-cows to be milked for every last drop in expenses claims. Clearly there is still a lot of anger in the nation at the way MPs seemed to have cheated the tax-payer, and then, by-and-large, seemed to have got away with it. This anger was expressed in the European and local council elections that took place last month, where the electorate chose to demonstrate their disgust with politicians by not voting at all. Unfortunately this strategy backfired, and voter apathy or voter anger resulted in the repugnant extremists of the BNP gaining two MEP seats. When most voters fail to participate in their democratic right to vote, there are unintended consequences, so the concern today is that voters will actually vote as the best course of action for Norwich North. Time has passed and pledges have been made. MPs know now that they have to be more transparent and accountable in their actions, and not just in claiming expenses. There have been sincere and sustained actions from the 'big three' parties to rekindle electorate loyalties. They assure us that they have changed. The wonderful thing is that there is a real choice on the ballot sheets today, and a variety of ways to vote constructively, or to make a protest vote. For those still seriously exasperated by the three main parties, Rupert Read of the Greens and Independent Craig Murray offer substantive, intelligent and mature alternative candidates. For those wishing to protest, there is Anne Fryatt of 'None of the Above', and Howling Laud of the 'Monster Raving Loonies'. Young Thomas Burridge of the Libertarians represents untainted political ambition, and votes for Bill Holden or Peter Baggs are votes for rooted locals concerned and knowledgeable of local affairs. Despite all the wishful thinkings of political pundits and poll 'predictions', the results are still far from etched in stone. The electorate of Norwich North have the dignity of choice in a free democracy, a choice still denied to so many elsewhere in the world. This is the moment and this is the decision. I would like to make a special recognition of the youngest candidate, Thomas Burridge. He will not win tomorrow, but at 18 he is making an impressive start into politics and will learn for the next time. His youth and energy, his straightforward message and his fresh optimism next to the cynical manipulations and dirty tricks of some parties is a joy to behold. In contrast this blog has been dedicated to confronting and repudiating the messages of hatred and division from the BNP, and to a lesser extent, UKIP. That has meant looking at brazen lies and misrepresentations, thuggery, threats of violence, obscenity, rage, base cruelty, and injustice towards fellow human beings. It is hard to understand the malice some have for others, and the lengths that some go to to express that malice. It is a relief to consider a different sort of candidate. Today is the last day that candidates can campaign for the votes of the constituents of Norwich North in Norfolk, and I know that Thomas is out and about working hard to convince voters of the Libertarian message. Tomorrow is the day. I have done my best over the past few weeks to convey the message of liberty to the people of Norwich North, however what I can do has now ended. The responsibility now passes to each and every voter in Norwich North, I urge you all to stand up and tell Labour, The Conservatives and the Lib Dems that we are sick of them taking and taking from the British people and never giving back. Enough is enough, tomorrow is your first chance to vote for the only party that will not take anything from you, be it your money or your liberties. Perhaps you believe that one of the big three has changed and can be trusted with your vote, to this I say simply if you vote the same, you’ll get the same. The big three have dominated politics for generations and have constantly and consistently taken hard won liberties from the British people, many times they have claimed to have shifted position but they always remain parties of big state interference in everyday lives. Vote Libertarian for real change. Vote Libertarian for honesty and open government. Vote Libertarian for your rights and liberties. Vote Libertarian simply to send the big three a message. If you vote the same, you’ll get the same. I know just how hard that Thomas has worked on this campaign, it has been an uphill struggle with the media attention focused on the main parties and the outgoing 'saint' Ian Gibson, but we have focused on getting the message across to the voters by going to see them direct, knocking on doors and explaining Libertarian policies. We have had a good deal of success, and picked up a goodly number of new members, but as a small party with limited resources it is impossible to compete with the huge machines and the volume of written material rolled out by the Conservative, Labour and LibDem campaign teams. I wish to publicly thank Thomas for all his hard work, dedication, temerity and sheer guts in taking on these big parties, standing his ground and giving the voters an alternative choice at the ballot tomorrow. As Thomas has already indicated, now its all up to the voters, who I trust will make rational informed decisions about who to cast their votes for. Finally, I will echo Thomas' important words. If you continue to vote the same, You will continue to get the same. How fit are Norwich North candidates? Tingle displays "prejudice and ignorance"
Meet the mates of the BNP's "Man of God"
What does BNP candidate West stand for? Of which Church is Robert West a "reverend"? Nick "No-Mates" Griffin to Norwich? Will Dr Gibson Scuttle Labour's Chances? BNP tells the Church to "grow up"